A new quilt popped up on my design wall this weekend and I'm excited to show a few process shots of how it's coming together. 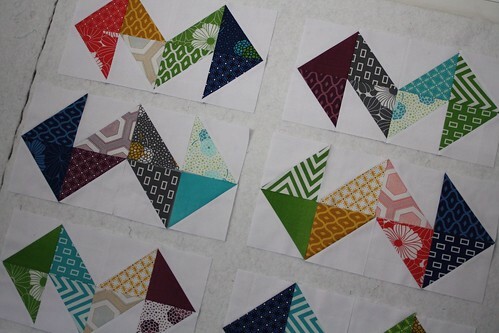 64 HSTs in a rainbow of colours makes playing around with a layout so much fun. 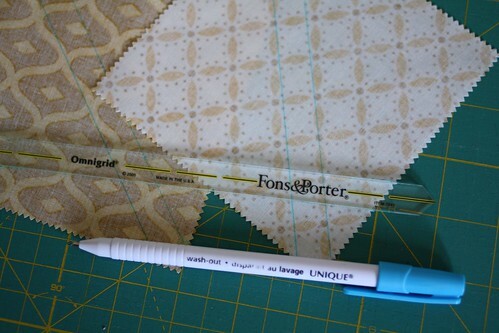 To speed up the process of making a stack of HSTs for this quilt top, I used my fancy new Fons & Porter 1/4" ruler and a pack of Simply Style charm squares by V & Co. 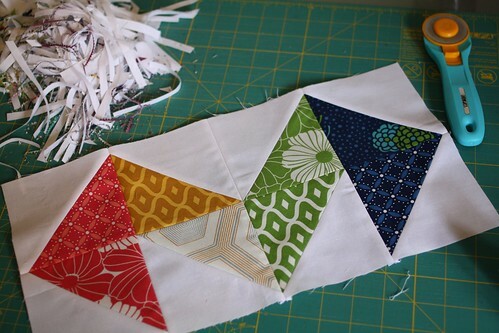 I'm still playing around with the final layout but for now I'm really happy with the direction that this quilt is taking. I took a mini hiatus from quilting over the past two months while I was caught up in sewing cat dresses and knitting all the things. 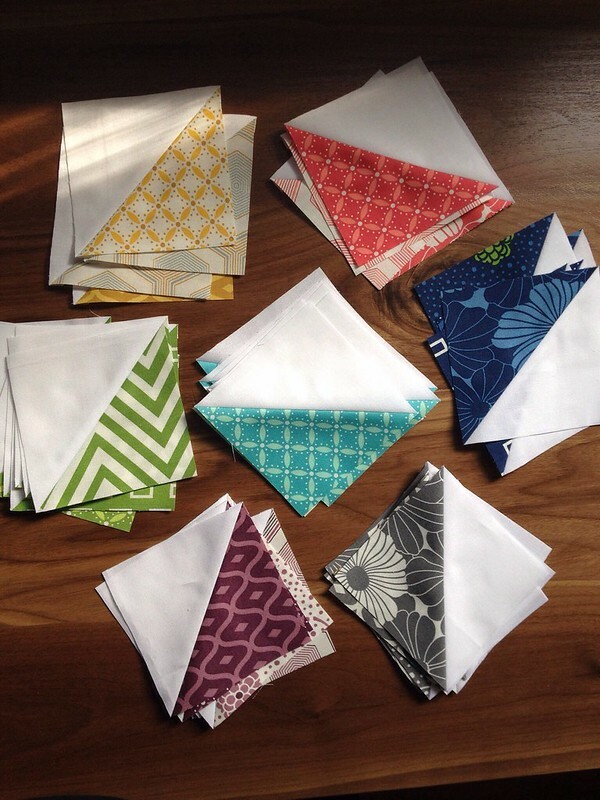 This is the perfect project to get me back in the quilting game. The design looks great can't wait to see it finished :) I think I will have to look out for that ruler too! Looking great so far! I love the colors in this line! Looks fun!!! How do you like your ruler? Interesting layout, i love it! From K - Lowbrow Hat for Spring?